My name is Mark and I am a podcast addict. Over the last few years, my daily commute consisted of a 10-40 minute walk each way (depending on where we moved to). This lead me down the path of wearing headphones. Music is a great way to pass the time, but pretty soon I wanted something more. Hanselminutes was my gateway to becoming a podcast listener. I started listening about 4 years ago and really enjoyed the relevant content to a .Net developer like myself. After a few episodes, I loaded the back catalog onto my phone. As well as keeping up with new weekly episodes, I was devouring episodes from 2006, then 2007, and on it went. Pretty soon, it had come to my attention that there was a show called .Net Rocks! (another from the Pwop Studios). This now became my second podcast but to this day the only one I haven't considered the back catelog since @carlfranklin and @richcampbell produce 3 episodes a week! And it's great they geek out once in a while with science technology such as Sound Technology, Nasa, and the latest in power generation. But in the process of Listening, I found The Tablet Show, a limited run of .Net Rock style episodes that focussed on all things tablet, Windows 8, Android and iPad. And related to this I stumbled on The Windows Developer Show (now missing from the face of the Internet), a podcast focusing first on Metro and Windows Phone, and later all things modern Windows Dev (up to UWP). For a short period I tried out We're Alive, a story-based podcast about zombies. This was really good, but much like The Walking Dead, it fell to the wayside for more technical content. Since I had been hooked on podcasts already, a friend started putting me onto other podcasts. The first one that stuck with me was ATP, the Accidental Tech Podcast. What started as a podcast I was keeping up with week to week, has 2 years later become another podcast on my completion list that I can say I am up to date with (which says a lot since the latest episode is #192 and they run well over 60 minutes each, some reaching 2 hours in length). These 3 guys talk about things from an Apple perspective, primarily, but touch on anything newsworthy in Tech along the way. The next recommended podcast to stick was New Rustacean, a podcast about learning the Rust programming language. I'll admit, a podcast isn't the best way to learn a language, but it is a nice supplementary. Since I started listening when it came out this one has been easy to keep up with as new episodes are released. The latest across my list that started is Merge Conflict, a weekly show by Frank Krueger known for Calca, iCircuit, and Continuous and James Montemagno of Xamarin fame. A great listen for development practice and geeky topics like VR and Chat Bots. My completionist tendencies meant I was almost at zero unlistened episodes across all the podcasts I listen to. (excluding the new ones coming up each week, or .Net Rocks. One day...) So I thought I would venture out again. Starting with the hosts of ATP, I looked into some of their previous and other shows. The first of these is an old completed podcast Hypercritical, a show where John Siracusa can just rant about all things. Spanning from early 2011 till late 2012 for 100 episodes. Quickly following this is Marco Arment's Build & Analyse (with Dan Benjamin) and Casey Liss's Analog(ue) (with Myke Hurley). The other few I have now added to my list to start listening to are Robot Or Not (another Siracusa show) and The Incomparable, which is another great Geek listen. So far these look to fit in nicely, while I also keep up with new episodes of ATP, Hanselminutes and Merge Conflict. My queue is back to 500 880 850 and counting down. But I doubt that will last long. I'm addicted. And if you are too, these might help feed your habit. Thanks for reading all the way to the end. Much appreciated. As a bonus, the headphones that I use are the Jaybird Bluebuds X In-Ear Bluetooth Earphones (no longer available, but I would vouch for the quality and service of the Jaybird guys). This is my second pair as a replacement for an audio fault a year in, and they were really good about sending me the new ones under warranty. 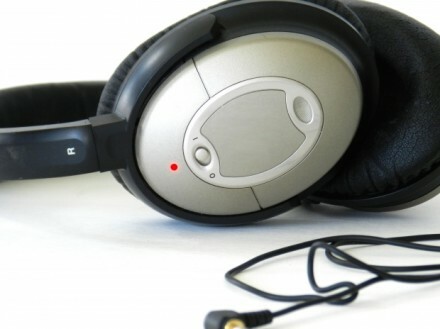 These are great for walking, running and general music and podcast listening.